Lily | Boxer à Greenwood. Dernière connexion 7 jours . 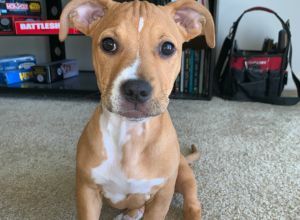 Hey i decided to join to community to expose my new pup to new people and other dogs. She also has a bit of puppy energy that she needs to work out through the day.